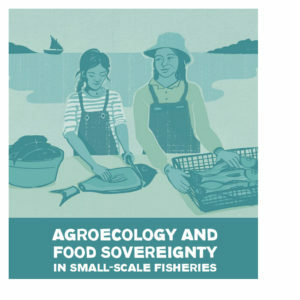 The importance of Food Sovereignty – as a means, a goal, and a global movement – is long recognized by the WFFP leadership: Food Sovereignty is a political agenda of small-scale food producers in the defense of our rivers, lakes, oceans and land. 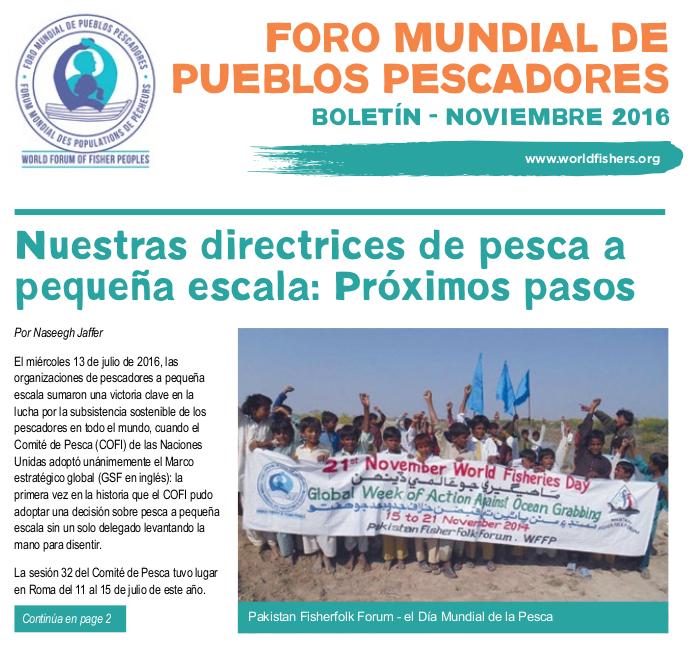 It is a response to the encroachment of our food system by multinational corporations who, in the context of fisheries, seek to privatize and consolidate fishing rights in the hands of the few. 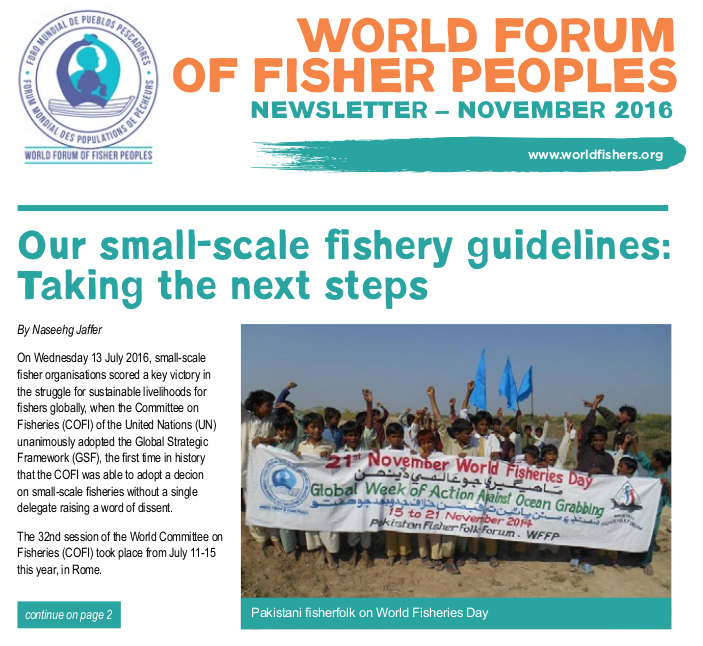 It is for these reasons that WFFP established a working group to take Food Sovereignty to the fishing communities of all our member organisations. 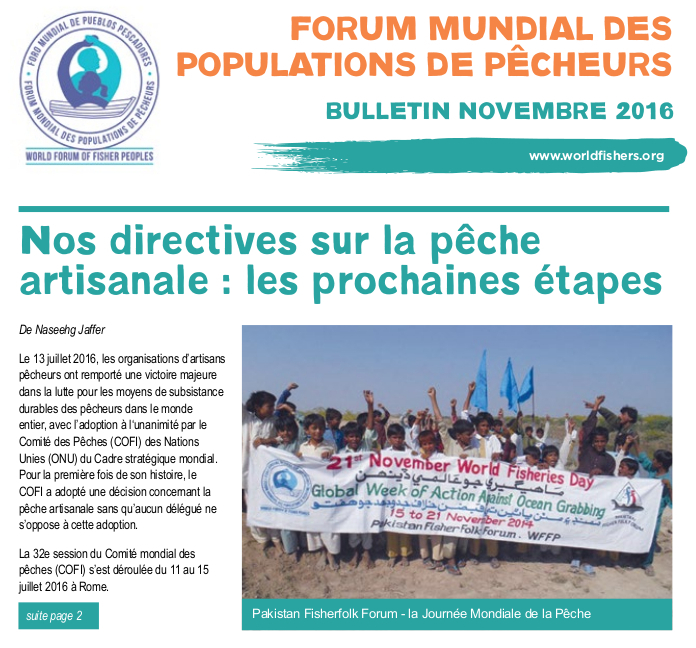 The main purpose of this new report is to do exactly that: to cultivate the study and debate about Food Sovereignty among youth, women and men in all of WFFP’s constituencies. – Naseegh Jaffer, WFFP General Secretary.